Breath new life into old photos by adding the dimension of color. ColorizePhoto.com is the easiest way to add lifelike colors to vintage photos. 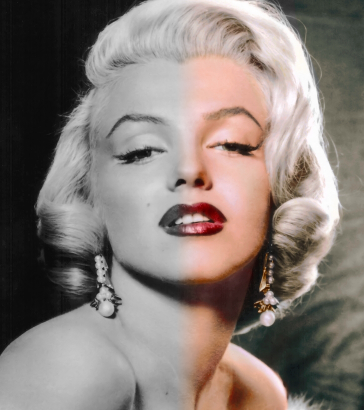 ColorizePhoto.com takes the guesswork out of selecting realistic skin tones and material colors that make normal photo colorizations look flat and unnatural. With no software to install, you can use ColorizePhoto.com to quickly and easily colorize a photo online. When you first load ColorizePhoto.com, the editor preloads a sample black and white image you can color. The left pane contains the photo to color and the right pane contains the color reference photo. You can follow along using the built in images, or you can load your own image. To load your black and white photo, click &apos;Open&apos; from the top left corner of the page. Select the picture from your computer to load the photo into the software. Your photo is never sent to our servers so there is no need to worry about the privacy of your photos. With your black and white photo selected, the next step is to find a color reference image. This image will be the source of the colors for the colorization. If you don&apos;t have a reference image on hand, Google Images is a good source for images. Search for a similar image with color and save it to your hard drive. Then select &apos;Open&apos; in the right pane and find the photo you just saved. Now the you are ready to start applying colors from the reference photo to the black and white image. Now the fun begins. To color the photo, you will select colors from the color photo and the paint them on the black and white photo. Use the reference photo to pick the colors to apply. For best results, select a similar area and brightness to the section of the black and white photo you wish to color. Select colors from the right pane. Use the color brush size slider to fine tune size of color selection brush. Click towards the top of the triangle to increase the size of the brush and towards the bottom of the triangle to decrease the size of the brush. The color pane Output displays the colors that will be applied to the black and white photo. Now that some colors are selected, simply paint the colors on the black and white photo. Paint the selected color on to the black and white image. You can fine tune how the color is applied through the brush options. Alter the brush edge by dragging in the upper right of the brush hardness tool. Use the brush size slider to adjust how big of an area is painted. Move the slider to the top to increase the brush size and to the bottom to decrease the brush size. Use the brush Opacity slider to adjust how much color is applied to the photo. Decrease the Opacity and apply subtle hue variations to increase the realism of the colorization. Now that you have the base color applied, select a new color from the color reference photo and apply it to different parts of the image. Continue refining the photo. Use the Zoom controls to zoom in and do detailed coloring. Before long, you will have a beautiful, realistic colored photo. Use the &apos;Save&apos; button to download your colorized photo.